The last few months have seen BtoBet study and evaluate the ever-changing iGaming scenario in Latin America. And with Peru expected to regulate its industry sooner rather than later – as indicated recently in the Industry Report “Peru as Latam’s Next Colombia” – it comes as no surprise that it features high on the company’s targeted list for its expansion. BtoBet has interviewed Ruben Solorzano, Managing Director at Affiliated Marketing Group (AMG), organizers of the Peru Gaming show, regarding the interesting scenario that is evolving in Peru. What should one expect from the proposed new law related to sports betting and online gaming that will be presented by the Peruvian gaming authority? Ruben Solorzano: First of all we should consider the fact that once the proposed new law related to sports betting and online gaming is introduced by the Peruvian gaming authority, the regular customers will feel more confident, mainly due to the fact operators are being supervised. Players will be reassured that their benefits will be respected. What do you reckon will be the benefits that a regularised gambling environment will bring to the player, the operators themselves, but also to the country in terms of job opportunities? Ruben Solorzano: To definitely regulate business activities makes companies develop with complete transparency in a constitutional government. For the operator, this law represents the opportunity to create a new business focus and pursue greater growth. Following this direction, we encounter a sort of articulation between production chains and other economic activities, which cause a domino effect on employment promotion. In summary, a regularized gambling environment not only creates new job positions but also opens the door to many job opportunities in other economic-related areas. Do you think that this new legislation will place Peru as “the new Colombia” in terms of interest from iGaming operators? Ruben Solorzano: I would like to bring up the experience of our latest PGS 2018 held in Peru last June. We noticed that local and international operators had a great expectation about the proposed new law for Peru and of course, they were interested in opening new businesses in this country since they consider that there is a potential and interesting market. I am not certainly sure that Peru will be placed as “the new Colombia” in terms of the operators it will attract. These countries have different markets and also different players, whose idiosyncrasy are not necessarily the same. On the other hand, if we consider Peru as the first country that passed a law for onsite gambling, we must arrive at the conclusion that we are facing a mature market. In this context, from my point of view, the operators’ interest in being part of this market would be convenient. One should not forget that the Law restrictions play a very important role in investment decisions. Apart from the legislative side, a country must also be well prepared on the infrastructural and human resources side in order to attract investments from operators. Do you think that Peru is well prepared for these aspects? 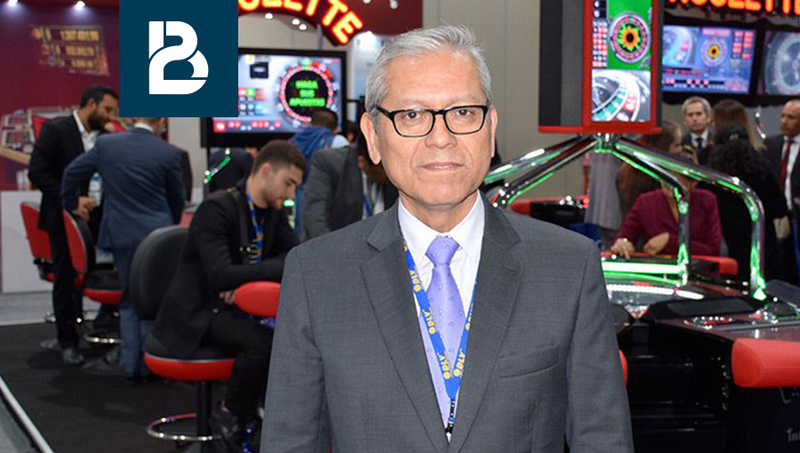 Ruben Solorzano: In reference to what I mentioned above, that is, Peru being considered as a mature gambling market, I would dare to say that there is a considerable infrastructural and human resources platform that is well prepared to support new business investments. Also, there is an important fact that I should mention, that is that onsite gambling operators are on their way to enter sports betting and online gaming for which they are using their own physical infrastructure. If we take this into account, we could affirm that Peru is prepared to welcome new investments provided they are not so large in size. Big multinational enterprises do not necessarily access a market with all its physical arsenal. They do it step by step, by assessing the market. Furthermore, we must understand that any project usually comes up with its own procedures and structures, and attracts specialists who meet their needs. However, they may find a great part of their logistic requirements in this market. Do you believe that a new more regulated Peru will eventually trigger a domino-effect from other countries in the region to regularize themselves? Ruben Solorzano: In most cases, the approved laws and regulations depend on the political management. Sports betting and online gaming are not exempted, especially when there is some kind of antagonism within the market. Consequently, it is very difficult to forecast the effect that the approval of the Peruvian law will have amongst other countries. However, I may say that tax collection in those countries where the gaming activity is regularized, is usually greater. Moreover, any attempt to go for a regulated path reveals a message of formality, transparency, security, guaranty and control. What is your vision for the Peruvian iGaming industry, and how do you think it will grow on the short to medium term? Ruben Solorzano: As we have stated, the Peruvian market is mature. Onsite gaming bets are duly regulated and “consolidada”. At present, there are more than 80,000 slot machines on gaming sites distributed in 15 casinos, and 700 gaming sites all over the country. This makes us think about a gaming segment or business type that could have reached their growth cycle limit, growth being very slow amongst them. The current operators who bet on greater businesses usually start by buying small sites and, then they expand them in the midterm with the purpose to obtain greater revenue by optimizing their slot machines’ production and infrastructure instead of opening new locations. The chance to approve the new sports betting and online gaming law allows for an additional business front and helps to attract investments. In summary, this will result in a greater economic dynamism within this sector in the long term, and we could have a totally integrated large and regulated gaming industry that would turn Peru to become a market model for Latin America.